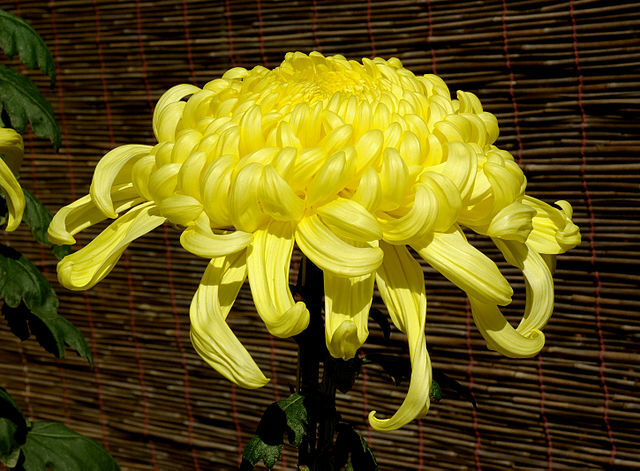 Ju Hua (Chrysanthemum flower) is a perennial plant that grows worldwide but is native to China. It grows up to 3 feet in height, requires lots of sun, and comes in a variety of colors. The medicinal part of the plant is the flower. It is aromatic and filled with various volatile oils such as borneol, camphor, chrysanthenone, and thymol. Other ingredients include amino acids and flavonoids such as quercetin. Ju Hua is slightly bitter in taste, cooling, light and aromatic. In Chinese Medicine, it enters the Lung and Liver meridians, and its main action is to disperse wind heat from the head. Secondarily, it calms the liver for ascendant liver yang, relieves toxicity, and disperses wind heat in the lungs. In one of the ancient Materia Medica books, Ju Hua was noted for its long-term beneficial effects, facilitating qi and blood flow and lightening the body to prevent aging. Hence, it is known as the flower of longevity! The most common varieties of Chrysanthemum used in Chinese medicine are the white and yellow flower — white for calming the liver and clearing the eyes and yellow to relieve toxicity and heat. During allergy season, white can relieve symptoms relating to the ascendant liver yang including headache, dizziness, sneezing, coughing, and red irritated eyes. Yellow Chrysanthemum is more bitter in taste than white chrysanthemum and is more appropriate for symptoms such as fever, sore throat, and colds. The best quality of Ju Hua are the flower heads that have not fully opened yet. They should be aromatic and yellowish white in color. Proper dose of this herb is 5-15 grams per day and it can be taken long term. In fact, it is a common tea in China that is drunk as often as green tea. Chrysanthemum flower can be found with your herbal practitioner, herbs shops, Asian markets, and flower shops. Of course, always check with your healthcare provider first before taking any new herbs or supplements. * Please note that this statement is not intended to treat, prevent, or diagnose any disease or condition. It is for informational purposes only. Statements made about herbs and supplements have not been evaluated by the FDA and are not intended to treat, prevent or diagnose any disease or condition. **References: The Materia Medica 3rd edition by Dan Bensky, Steven Clavey, and Erich Stoger.